Carmin is a vibrant, intelligent and confident girl. Carmin loves to put on a show. She likes to make up characters, and act them out for her family. Besides acting, Carmin loves to dance. She currently attends Studio One Dance School. Carmin enjoys learning, and her favorite subject in school is math. 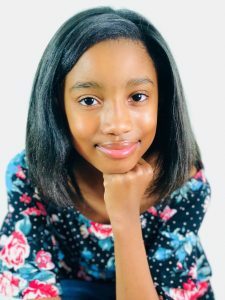 When she’s not performing for her family, or at dance recitals, Carmin enjoys hanging out with her best friends and talking to them on the phone.